I don't really think Naruto has what it takes to beat Goku. 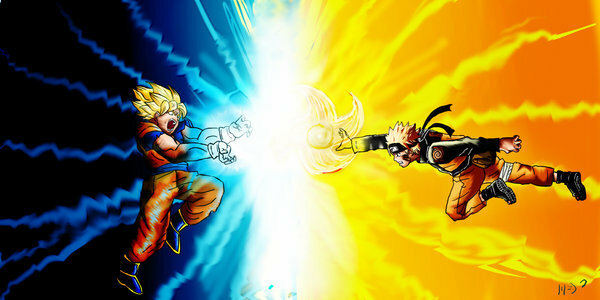 In a knockdown fight, I think Goku would come out on top. I staged a battler in MUGEN to see what could happen. For the love of ... NO MORE MANGA!!! Goku against the CURRENT Biju Controlled Naruto would have no chance.